Mining equipment like trucks, bulldozers, haul trucks, and loaders face extreme operating conditions. Maintaining the useful life of these vehicles presents a unique challenge for Owners. When you keep the equipment clean it can prevent rusting and deteriorating. Westmatic can supply your company with a mining truck wash specifically catered to bigger vehicles. 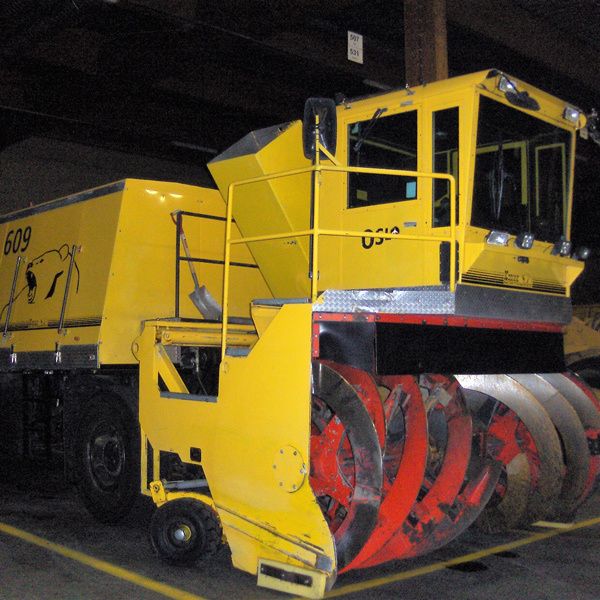 This will preserve the life of your mining trucks and equipment and result in saving you money in the long run. Westmatic offers a complete line of customizable heavy duty touchless truck wash systems capable of removing heavy debris from all areas of the mining equipment. Our touchless machines are available in drive-through and gantry models and are equipped with self-adjusting, robotic high-pressure spray booms. The booms are capable of contouring and adapting to different vehicle sizes and shapes. This provides for incredibly thorough cleaning results and maximum spray impact. With a wide range of high-pressure, or high-volume pump packages available, Westmatic will determine the best option for cleaning your fleet and reducing vehicle maintenance costs. This truck wash system is optimal for mining equipment. While preserving water it also gets your equipment the cleanest it can be. The high-pressure water can get into nooks and crannies that a normal brush wash that used friction cannot. 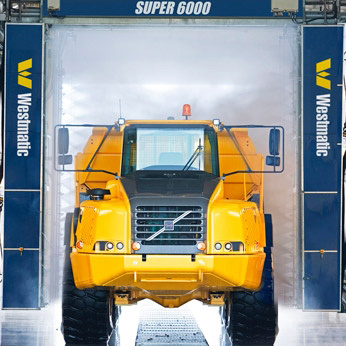 Make the Westmatic Touchless Wash System your first choice for mining vehicle washes for your company's equipment. Add these accessories to boost the cleaning power and cost management for your new Westmatic Mining Truck Wash System.